Is It Really That Elementary? 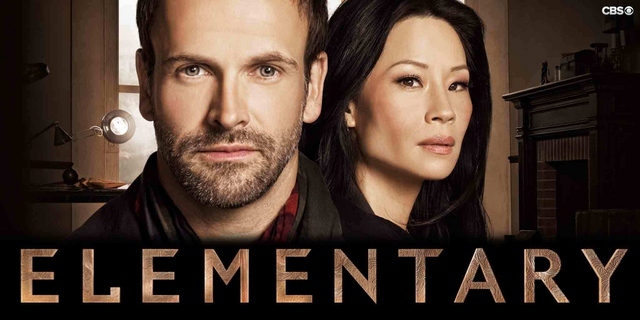 Elementary is another one of the TV shows that I particularly enjoy. There are plenty of reasons, and I discussed before how Elementary makes you feel smarter. It’s an intelligent show with generally well written story lines, believable if odd characters, and some clever logical leaps that make the show truly a gem. It’s also not scared to deal in ugly depth with things like drug addiction, 12 step groups, and the odd grey areas of things legal and not so legal. It even has a nice modern twist with plenty of text messages, online social groups, and the Anonymous takeoff group called Everyone. The show got off to a great start. High ratings for it’s time slot, great reviews, and clever scripts got this show plenty of attention. Season one started out with 13 million viewers, settled into a nice grove of 10 to 12 million, and did that almost to end of the season. However, the final four episodes didn’t play very well, is part because of odd air date and in part to very complex material and perhaps a couple of clever twists too many. Ratings ended the season just under 9 million viewers. Season 2 started off at about that same point, 10 million for the first show, and then settling into an 8.5 to 9.5 million groove. The show seemed to be retaining it’s viewers fairly well, which is something that the networks look at when considering renewing the show. However, a big gap off for “march madness” basketball has the show coming back under 8 million, and ended the season in May at 7.3 million – or about half the initial audience for season 1. Season 3 got off to a horrible start. The ratings for the first episode (which didn’t play until late October, well after the normal season start) were the same dismal 7.x millon, and remarkably, the series actually dropped off from there to the 6 million range. For fans of the show, you will know that this is time of Kitty Winter, and of Watson and Holmes not living together or working together. Watson got her love interest, and Holmes got his Kitty to play with. While the episodes were somewhat interesting, the show seemed to dwell too much on the problems of Kitty Winter, and didn’t do much with what magic lay between Holmes and Watson. The end result were pretty dismal numbers in the 6 million range almost until the time Kitty left the show. However, by the end of the season, it closed out just under 7 million, not particularly great results. Season 4 is currently playing. The ratings are poor. Not even 6 million until the first episode after the Christmas break. New characters such Holmes father and now Watson’s stepfather don’t seem to be helping out. Running against Thursday Night NFL games has not been helping the show out, and a new show on NBC (Shades of Blue) beat the show head to head on that night. So drastic action was called for, it’s schedule shake up time and it’s ugly! This is directly related to the problems of CSI Cyber. This second year series was suffering in it’s Sunday time slot, unable to gain traction. It has lost it’s time slot and been tossed to the seas of open time slots for now, and in it’s place, we find Elementary. This is a challenging time slot with lots of problems, and some weird numbers to face. Cyber got kicked out for doing the same sort of numbers Elementary has been doing on Thursday. Perhaps CBS is testing to see if there is a better audience on Sunday, especially with the football season winding down. If Elementary can pull it’s 6 million viewers to Sunday and pick up more from the CSI crowd, then perhaps it can resurface back to 8 to 9 million, where it likely should be. As a side note, star Jonny Lee Miller revealed on instagram that the show is reporting high DVR numbers, which pushes the viewership nearer to 10 million. Perhaps CBS has figured that DVR viewers won’t care what day the show is on, and they can do better with something else on Thursdays. If not, well, things don’t look that good for the series. 6 million viewers was not enough to keep CSI Cyber in the game, and the risk is that CBS has send Elementary to Sunday to play out it’s string and end gracefully after 4 seasons. That would be a shame, as it’s not every day you see a series that is actually more about your mind and less about flashing lights and big guns. Perhaps Elementary is just a little too smart for it’s viewers. Previous story Abandon Ship! CSI Cyber Is About To Crash!